The Veterans Crisis Line - a resource provided by the U.S. Department of Veterans Affairs (VA) is a confidential hotline, online chat, and text service for veterans and their families and friends who are in crisis and need immediate support. This service is free and always available. Veterans and their loved ones, including families, caregivers, friends and neighbors, can call 800-273-8255 and Press 1, chat online at VeteransCrisisLine.net/Chat, or text to 838255 to connect with the support they've earned. Herb Coley (retired MSC COL and current Chief of Staff of the US Army Medical Command) was surprised by the DUSTOFF Association President and about 22 other DUSTOFFers. We honored him with a fond farewell and thanks for his 40+ years of service with a DUSTOFF Certificate of Appreciation and a Charles Kelly Hall of Fame Coin. Two new T-shirts have recently been added to the DUSTOFF Store shelves. Now's the time to order yours so you can "strut your stuff" at the next reunion in April 2013. Check out these new T-shirts and all the other great DUSTOFF and air ambulance paraphernalia by going to the DUSTOFF Store. The Fall/Winter DUSTOFFer newsletter has been published and in available in Adobe Reader format (PDF) back in the Newsletter section of this site. The newsletter is an important avenue for keeping our members informed about issues relevant to the air ambulance community. We're always looking for stories about DUSTOFF, MAST missions or outstanding rescue missions. So please check the section in the newsletter that tells you how to submit a story or article. And if you see Jim Truscott or Suzie Gower, give them a big kiss or pat on the back...depending on your gender... for doing a great job!! Lt. Gen. Horoho meets with Mr. Dan Gower, Executive Director of the Dustoff Association in the Pentagon on Friday Nov. 9, 2012. The TSG was then heard to say, "Who the hell selects your ties??!!!" Lt. Gen. Horoho thanks Mr. Patrick Fries, Producer and Director of the Dustoff documentary during the premier held in the Pentagon on Friday Nov. 9, 2012. Company C (Medevac unit based out of Smyrna, TN) is currently deployed to Afghanistan. They are due home in a few short months. Like so many others who are deployed, they have spent their time working extremely hard on treating soldiers in the field as well as performing medical evacuations for not only American soldiers but soldiers from all countries in the war zone with not even so much as a break or a leave. The Family Readiness Group is a commander's group designed to help support families while their soldier is deployed. They have leaned on each other all year and now their focus is bringing the soldiers home safe and sound! They are currently working to raise enough funds so they can afford to welcome them home with a unit party that they (and their spouses) so fully deserve. Please help turn their dream into a reality. Any size donation would mean the world - they would appreciate your help so much. Click HERE to make a donation. When C-1-214th Aviation Regiment returned home in Jul 11 from their year in Afghanistan, they left behind in theater their Fourth Platoon. Those DUSTOFF Warriors did not get a welcome home handshake and DUSTOFF Coin upon their return to Landstuhl Heliport in Dec 11. So, when the opportunity happened that Johnny West, President of the Association, was to be in Germany on TDY, the welcome home happened. While smaller in numbers due to PCSs, etc., the welcome home did happen as Johnny presented DUSTOFF Association Coins and Proud DUSTOFF Wife Coins to members of the platoon and the FRG leadership. Welcome Home DUSTOFF Warriors of 4th Platoon, C-1-214th Avn Regmt and thank you for your selfless service saving lives. Ben Knisely was on hand for the return of the first Reserve component MEDEVAC unit to deploy as an F Co. of a General Support Avn Brigade. They were in combat for 9 months with all members returning safely. The unit is based at St. Petersburg/Clearwater airport. The unit received DA recognition for an amazing 96% aircraft availability for the entire period of support. Ben Knisely presenting Hall of Fame coins to unit CDR, MAJ Davis and 1SG Gomez. 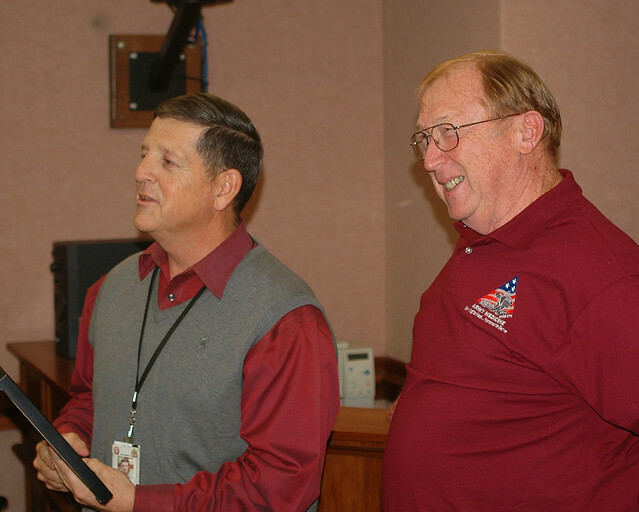 Dan Gower and Bob Mitchell traveled to Fort Bragg to welcome home C-3-82 - (Legacy 54th) on 26 Sep 12. Lots of great DUSTOFF Warriors recently home from a year saving lives in Afghanistan. Renewed some friendships from years past welcoming them home. Also, members of one of our Rescue of Year crews were there returning from yet another tour downrange. Within only hours of notification, eight crews of Eagle Dustoff (Company C, 7th Battalion, 101st Aviation Regiment, 159th Combat Aviation Brigade) traveled to Fort Rucker, AL to prepare for hurricane Isaac. They were staged for potential search-and-rescue missions, ready to assist at a moment's notice. With the National Guard and the other government agencies in place, the Medevac crews were not needed and returned home. The families and loved ones of C Company, 2-149th General Support Aviation Battalion bid farewell to their soldiers with a ceremony and Yellow Ribbon event at the Rio Cibolo Ranch in San Antonio, Texas, Sept. 8, 2012. The "Alamo Dustoff" outfit, augmented by Oklahoma Army aviators, will provide medical evacuation services in support of Operation Enduring Freedom. Can you help me network with anybody who has any Huey parts, maybe just sitting around in their garage or on display. That's how I found the M-60 gun mount and all the accessories and an electric Huey cargo hook. The group, American Huey 369 is a 501 (c) 3 tax deductible flying and display museum, located in Peru, IA. Founded by a Marine Capt. Huey pilot and his brother, Johnnie and Alan Walker. We are looking for any Huey or parts, especially a Huey that is not flying. One that is owned by an individual or VFW or Legion or anyone or group or city, not on loan from the government. We can also parts swap their serviceable parts, even rotor blades, for display parts. The group that I joined and have been supporting for several years has gone from restoring one, now flying, "Dust Off" Med-Evac Huey 369 to rebuilding and flying Huey 803. My friend of 50+ years John Inferrere was crew chief on 803. We supplied the M60 gun mount and all M-60 accessories as well as an electric cargo hook for it. I am parts and Huey scrounging anywhere I can. Even small parts up to a Huey are desirable and a Tax Deductible donation. "Got contacts?" with any Warrant Officers or Crew chiefs or law Enforcement who might have or know of any parts just on display, at home or in some hangar, even civilian? American Huey 369 is currently rebuilding a "Nam Huey Gun Ship". I took a NOE fight through the groups of trees yesterday on Dust Off Huey 369 and it felt like old times. When you join American Huey 369 as a member, you get a free Huey flight at their scheduled events. Most of the crews are Nam Vets and a great bunch that we spent last weekend with at the Kokomo, IA Vietnam Vets 30th reunion. Sgt. Sammy Davis, Medal of Honor recipient, invited us and American Huey 69 & 803 were flying members all around the reunion of about 5,000 Nam Vets. We need your help. We have a number of 'lost' members. If you have any information about any of these crewmembers, please go to the Lost Crewmember page, fill in the form at the bottom of the page and submit it to us. William C. Warwick of Cambridge, Nebraska will be presented with the Silver Star on 9 September 2012. He was a SP4 and MEDEVAC crew chief for the 45th Med Co (AA) in Vietnam and was awarded this Silver Star for action on 3 March 1968. He has never received the award. The Nebraska Army National Guard is presenting the award in an Armory in McCook, Nebraska. There will be a MEDEVAC crew from the Nebraska National Guard attending as well. The State Aviation Officer is looking into landing a UH-60A MEDEVAC aircraft at the McCook armory as a static display. More information will follow as plans are firmed up. If you are within driving distance, please try to attend, especially if you were a member of the 45th Med Co during the Vietnam War. The Department of Veterans Affairs has created an employment opportunity for Former Medics, Corpsmen and AF Med Techs. We are currently conducting a pilot program at 15 VA Medical Centers across the country to hire Veterans who held medical Military Occupational Specialties (MOS) and desire to continue working in a medical environment. Our recruitment program went live yesterday. This program is designed to maximize the skills, knowledge and experience our medics/corpsmen have obtained and used in the military. Sometimes these qualifications do not easily equate to the civilian medical world. In this program we have created a unique opportunity to use the majority of these skills under the supervision of a physician in the emergency department in a VA Medical Center. Vets helping Vets is the way we like to look at it. More information can be obtained at the VA For Vets Web site where applicants can upload or create a resume for consideration. There are career coaches available who can assist applicants in “federalizing” their resume, organizing the data, obtaining required documentation and who can answer all employment related questions. If you don't desire help with your resume and already have one ready to submit you may send it to: ICTapplications@va.gov . Also, please see the flyer for additional information (PDF document). We've added two new items to the DUSTOFF Store. Visit the DUSTOFF Store and take at look at the new DUSTOFF hoodie and the new DUSTOFF sticker that's been added. CPT Leala McCollum, a medevac pilot with the 121st Medical Company (Air Ambulance), District of Columbia Army National Guard, was a member of a team that won the gold medal in the international category at the NATO Interallied Confederation of Reserve Officers' Military Skills Competition, held 6 Aug 12. The CIOR competition consists of a pentathlon with rifle and pistol marksmanship, land and water obstacle courses and a 10-15 kilometer orienteering course, as well as Combat Casualty Care, and a written Laws of Armed Conflict test. Team and individual medals are given for each event as well as overall. The Spring/Summer online edition of our DUSTOFFer newsletter has been posted in the Newsletter section of this site. A "must read" for anyone who wants to follow what's happening in the world of Army air ambulances. Family and friends gathered 20 July to send off 53 soldiers of the C Company 2-211th General Support Aviation Battalion of the Minnesota National Guard. The soldiers are going to Afghanistan and will be deployed for a year. The deployment ceremony was at the St. Cloud Army Aviation Support Facility with about 200 persons attending. The company is an air ambulance company and will provide medical evacuation support with its UH-60 Blackhawk helicopters. On 15 July 2015, Dan Gower traveled to Colorado Springs, CO and Fort Carson to visit one of the Army Reserve’s newest DUSTOFF Unit. Recently converted from a Chinook company, the new F Company of the 7-158th Avn Regiment is blessed with brand new UH-60 M model aircraft. They are, however, scrambling to get spun up on how to execute the DUSTOFF mission as they deploy sometime in 2013. Along with Dan was MAJ Sam Fricks and MAJ Jason Davis, both with three combat tours each and both with one combat tour as a DUSTOFF Unit commander. The Version 1.0 of the DUSTOFF Legacy Documentary “When I have your wounded” was also shown (the version shown at the May 2012 DUSTOFF Reunion). Virtually none of the unit had heard of the legacy that they now carry forward that started long ago and embodied in MAJ Kelly’s last words. The U.S. Army Air Ambulance Detachment, 5th Aviation Battalion crew that responded to the CV-22 accident at Eglin Air Force Base, Fla. includes from left to right: SGT Ariel Rodriguezmesa, flight medic, CW2 Erik M. Bratton, pilot-in-command, CW3 Paul J. Averett, pilot, and SGT Jose' Rivera, crewchief. The 33rd DUSTOFF Association reunion is in the books as being one of the great reunions. Many thanks to all the folks that worked so hard to put on this event. If you missed it you missed tremendous food, spirits, and camaraderie. The premiere showing of When I Have Your Wounded – The DUSTOFF Legacy at the Saturday night banquet made more than a few DUSTOFFers and spouses well up with tears. See more about this movie on our Facebook page. Photos are starting to come in and may be viewed in the Photo Gallery. Send us your photos and we'll see about adding them to the Reunion Photo Gallery. Dan Gower and Steve/Carol Grove traveled to Fort Hood on 23 April to welcome home the 100 DUSTOFF Warriors of C-1-171 and C-1-159 GSAB. These National Guard DUSTOFF Warriors hail from Arizona, New Mexico and Minnesota National Guard units. Dan and Pat Fries filmed this unit last year at this time when they were preparing to deploy to Afghanistan and then filmed them as they took over the mission from C-1-214th GSAB in June 2011. While in Afghanistan, the service members provided medical evacuation support to U.S. Marines, NATO/ISAF coalition forces and local nationals. C Company evacuated and provided life-saving aid to more than 1,800 patients by way of more than 1,400 missions. Carol left no hand unshaken! For any DUSTOFFer that's every pulled of a combat hoist, or been lowered on a combat host, this video will bring tears to your eyes and chills to down your back to realize how well our "young eagles" are upholding the tradition of ...DUSTOFF!! COL (R) Doug Moore and SP5 "Pappy" Coleman were inducted into the Army Aviation Hall of Fame in ceremonies on 2 April 2012 at the Army Aviation Association of America's Symposium in Nashville, TN. AAPI Photo by Ren� Bidez. The Fall-Winter 2011 DUSTOFFer newsletter has been published and is available online for your viewing. As always, the newsletter is first-rate and jam-packed with interesting articles about past DUSTOFFers as well as those currently serving our country. An aviation crew with C Company “Dustoff,” Task Force Phoenix, 10th Combat Aviation Brigade, recently earned an Army Aviation Association of America (AAAA) National Award for a mission conducted in June 2011 in Kunar Province, Afghanistan. The Air/Sea Rescue of the Year Award was presented to CW2 Erik Sabiston, pilot in command, 25 January, at Fort Rucker, AL. Members of 3rd Brigade Combat Team, 25th Infantry Division, found themselves stuck in a violent firefight in the Kunar Province. For a day and a half, Sabiston and his team provided the ground force with more than just medical evacuations. The team conducted more than 10 hoists for the wounded and fallen heroes. During the first day, SGT Julia Bringloe, a medic, was descending on the hoist during a night extraction. The pilots were flying under dark conditions that made it extremely difficult to see, even through night vision goggles. On her descent, the hoist swung her into a tree. She was unaware at the time that she had broken her leg. Bringloe, like most medics, care more about the patients on the ground than their own well-being. The crew also was faced with the challenge of flying blindly to perform a rescue. During another hoist mission, the aircraft was engulfed in clouds while they were flying at approximately 10,000 feet. They were unable to see anything to make the rescue, which made it extremely dangerous. Bringloe was once more lowered on the hoist to retrieve a Soldier. Neither the crew nor medic could see one another when she and the patient were hanging approximately 50 feet below the aircraft. The experienced medic told the patient to hold on, since she knew the pilots would need to gain enough altitude to clear the cloud ceiling. After Sabiston reached 12,000 feet, they finally retrieved the medic and the patient. The United States Army Air Ambulance Detachment (Cajun DUSTOFF), 5th Aviation Battalion put their medical evacuation training to the test, conducting a live hoist medevac mission early in the morning 21 March 2012. More than 10 inches of heavy rain struck Fort Polk causing severe flooding in some areas. A Soldier was attempting to cross a flooded road in an HMWVV when his vehicle was caught in the water. The Fort Polk firefighters were dispatched to the site to find the vehicle more than two-thirds covered, with water over the hood and bed of the vehicle. "The fire department called for a hoist, giving us the grid (location) of the incident. The weather was still dangerous, but the battalion commander (LTC Christopher Speer) approved the mission," said SFC Rodney Dippel, the medic. "We opened the doors and I was lowered onto the truck. The crewchief and pilot had to be precise in lowering me. If it was too far to either side (of the vehicle), I would be in the water." Once Dippel was lowered onto the HMWVV and his cable was hoisted back up the aircraft, the pilot circled around until Dippel asked for a pick-up. "The first thing I did was hook up the patient. He looked very happy to see me since he was cold and stranded," Dippel said. Dippel then called for the pilot to return to do the hoist. The pilot, CW3 Daron Hankins, hoisted Dippel and the Soldier at the same time. "Once the patient was safely inside the aircraft we covered him with blankets and turned up the heat and took him to (Bayne-Jones Army Community Hospital)," Dippel said. The mission posed some difficulty for the USAAAD because of the weather. "It was the most challenging call I've had in my career. There was heavy rain and about two miles of visibility," Hankins said. The Army Medical Department Regiment is working on documenting all medical personnel who have been awarded the DSC, SS, DFC, BS"V", ARCOM "V" and the Soldier's Medal for heroism. If you were awarded any of these medals kindly send a copy of the citation and the General Order for them. If you can scan them into a PDF document and e-mail them, it would be easier. COL Robert Mitchell, immediate past president of the DUSTOFF Association and current Aviation Consultant to the Army Surgeon General, links up with his son LT Zach Mitchell, another DUSTOFF Aviator, in Afghanistan recently. The proud papa with his son is pictured here. COL Mitchell is in Afghanistan on a visit to all DUSTOFF units supporting the war in Afghanistan. Dan traveled to Omaha Nebraska to participate in the Yellow Ribbon Ceremony culminating the re-integration training of Charlie Company, 1-135, DUSTOFF. Following the Yellow Ribbon Ceremony during which all deploying National Guardsmen were awarded some nice mementos from the State of Nebraska, Dan had the opportunity to speak solo to the unit and welcome them home on behalf of all the DUSTOFF past and present. He got to present a special HOF coin to CW4 Caniglia for being "a difference maker" during the deployment. Mrs. Caniglia was given a Proud DUSTOFF Wife's Coin for her loving support for her Warrior. Present at the ceremony as a part of the unit was also SGT Heather Springer, our 2007 DUSTOFF Medic of the Year - she has since finished college and gotten married to SGT Wunderlich. It was a great day! CPT Smith coins Dan, thanking him for his trip to Omaha, NB. Dan describes the Proud DUSTOFF Wife's Coin and its symbolism. Dan presents Mrs. Angie Caniglia with her Proud DUSTOFF Wife's Coin. The hug comes with the coin. CW4 Caniglia was given Mike Novosel HOF Coin for being a "difference maker" during the deployment. His wife was given a "Proud DUSTOFF Wife's Coin"